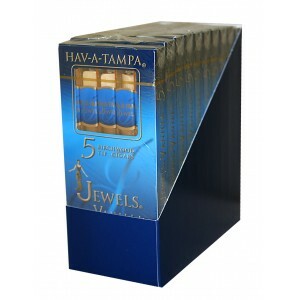 When will the HavaTampa Vanillas be in stock again. You are forcing me to go somewhere else. The service, price and shipping were more than excellent from this vendor. I wish I could say the same about my "everyday" favorite little cigar. I love the flavor and birchwood tip however, about half the smokes are rolled so tight you can't light them with a torch and many of the others are so loose they flame up. I've emailed the maker, "Altidis", several times about their quality control but they have never responded in any way. The local price is now more than a buck per cigar. This is too much for such unpredictable quality. These are great little cigars and they taste great. Even people who are normally offended by cigar smoke enjoy the vanilla aroma. I read the other review concerning the tightness of the tobacco roll when manufactured. This makes it difficult to draw on the cigar. Here's the fix. Get some small wood skewers that are just big enough to fit in the hole of the tip. Ram it in there as far up as you want. Be careful though or the skewer may come out the side of the cigar. This trick opens up the cigar channel and allows a much easier draw. Enjoy ! !